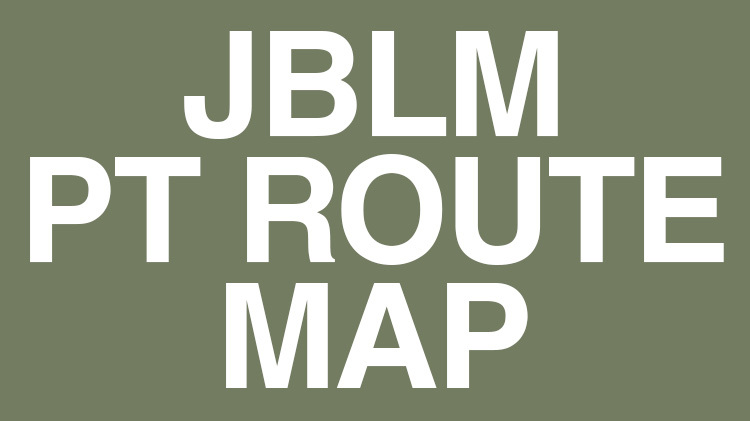 The PT guide map has been created to reflect PT routes, road closures and PT off-limits area as identified and updated in JBLM Regulation 360-2. The map is current as of May 2016. Caution: Drivers should slow to 10 mph when passing troops.